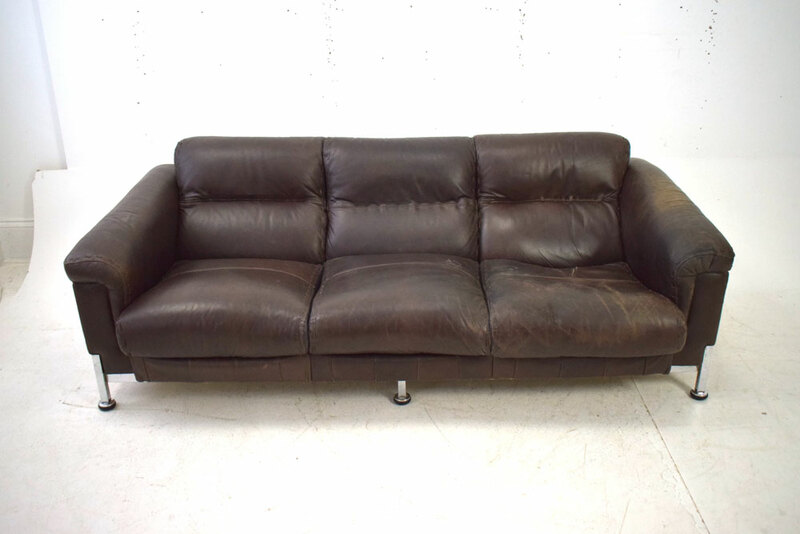 Vintage low back 3 seat Danish sofa with dark brown leather upholstery. 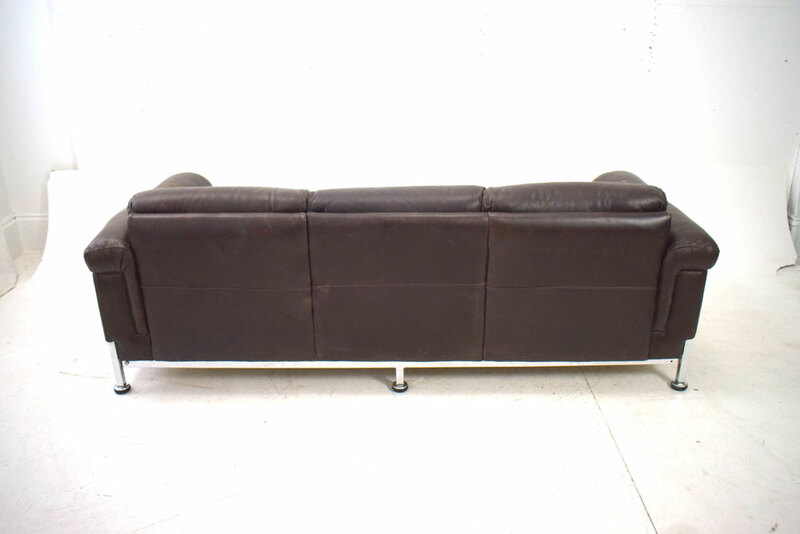 This compact 3 seat sofa will fit perfectly into a living room while not taking up much valuable space. 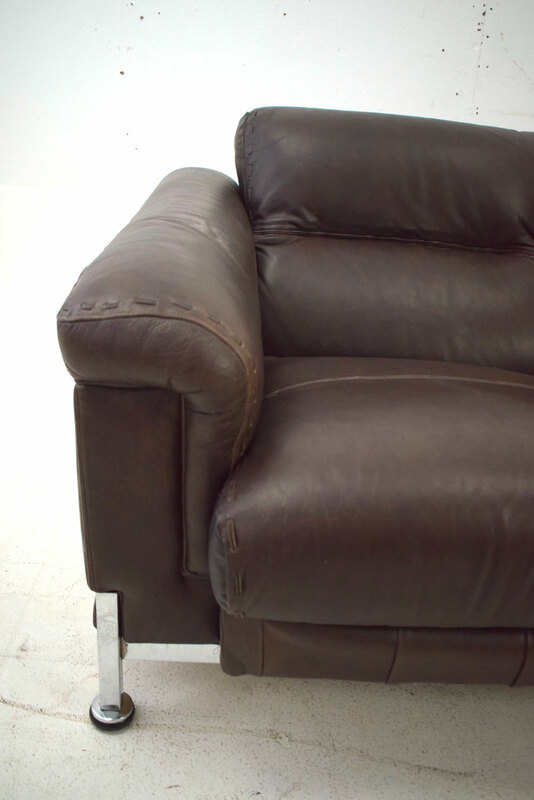 The back and arms are cushioned, adding both comfort and support to the already lovely sitting experience. 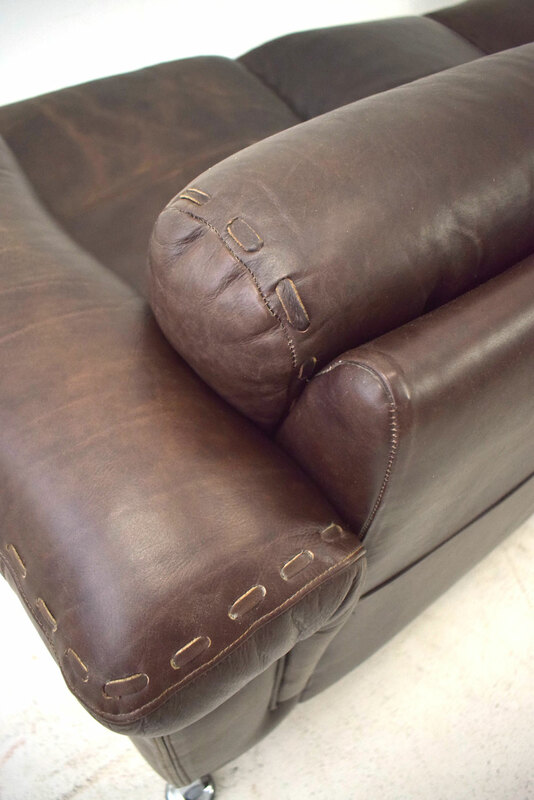 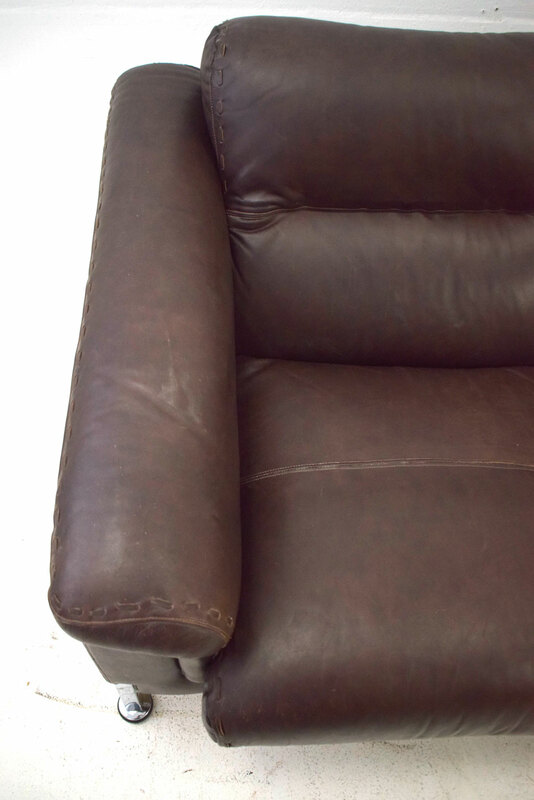 The sofa is fully upholstered in dark brown leather which while showing signs of use & age is far from worn out. 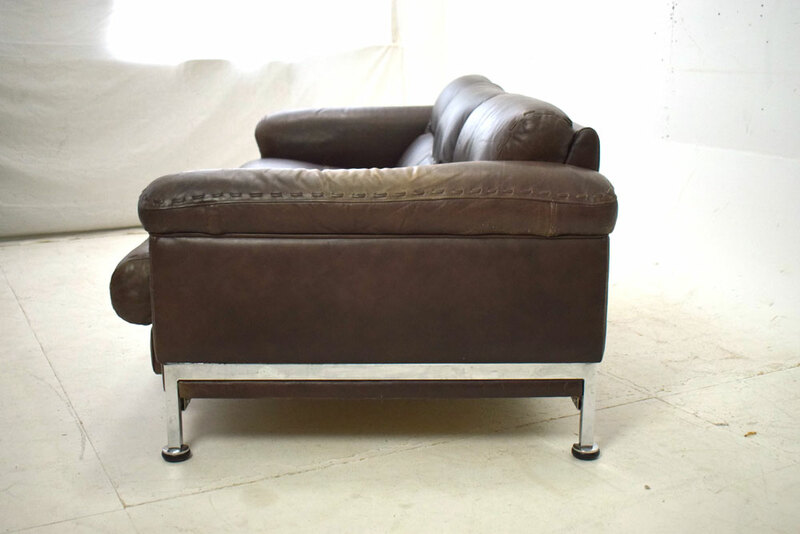 The sofa stands on chrome legs which contrast the leather upholstery. 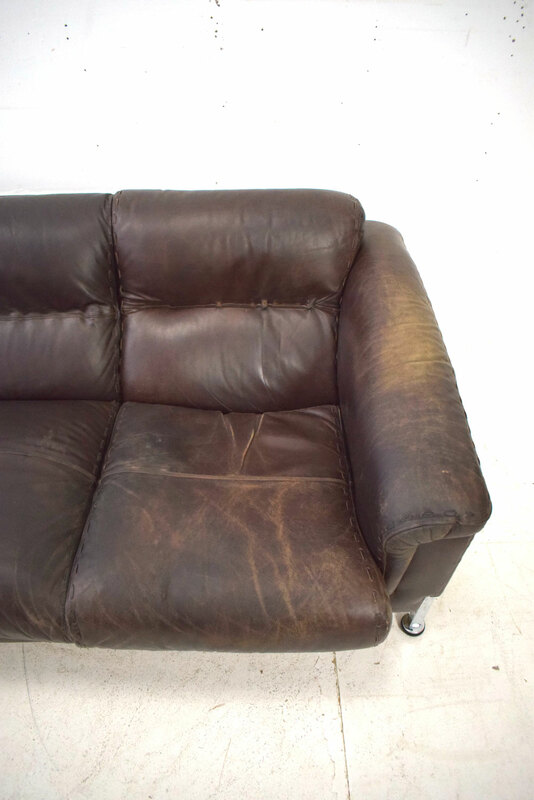 Condition: Very good with lovely patina. 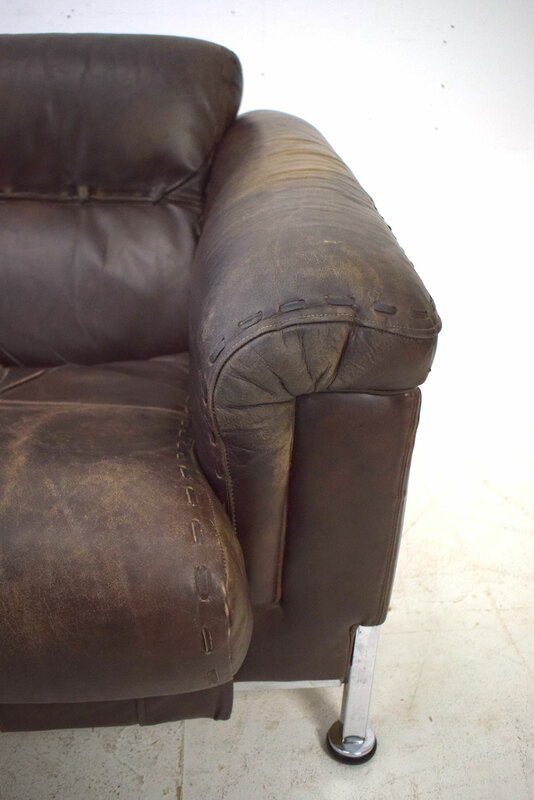 Leather shows signs of use & age. 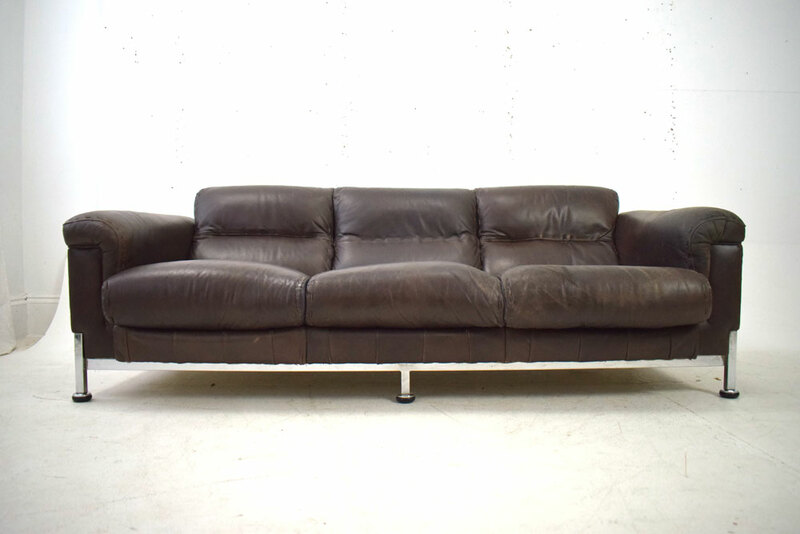 The frame cannot be dismantled.